The family fun day is approaching fast. With lots of popular companies joining us to make the event just as fantastic as last year! A Star Sports, Justin2Fittness, Mascot Cymru, Footie Bugs, House of Dance just to name a few…plus traditional carnival stalls, shopping stands, bbq, Inflatable fun, giant garden games, tombola, cakes, raffle, lucky dip and even meet your favourite ccbc characters!! 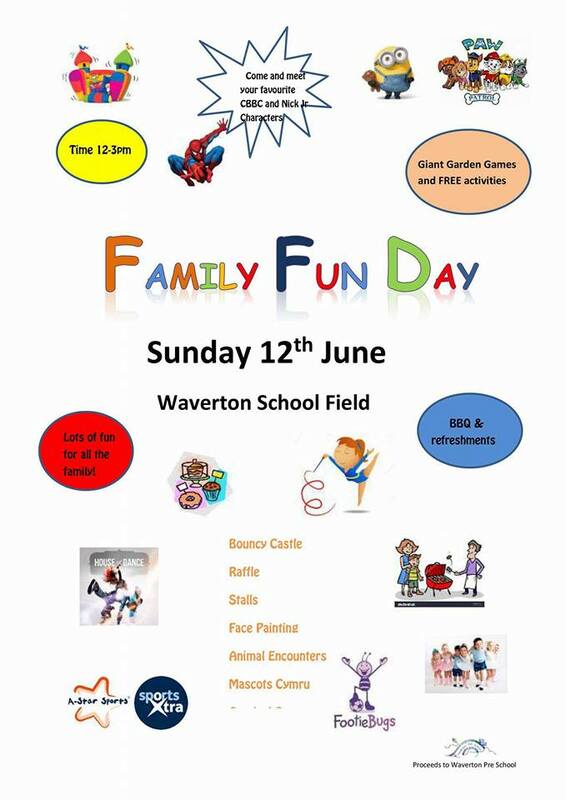 All proceeds made will go to Waverton pre school.